This restaurant felt quite dark even though we were seated near the windows and we were there at lunchtime. 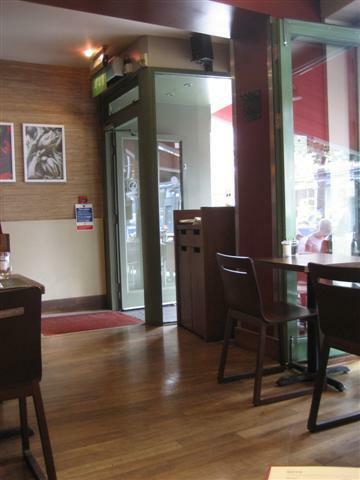 The staff came and asked us a few times, quite frequently, if we were ready to order. But then after that, when we were actually ready to give our order, we had to wait quite a while to get the attention of the staff. The basket of pesto and tomato pizza bread was really good. They were six big pieces. We could definitely taste the quality of the pesto that was used. I would not recommend having the pizza bread as a starter if you were going to have a pizza for the main meal, as they are very similar. I chose to have the starter of the gnochhi instead of the main course. The portion was the more like a main dish so I wasn’t disappointed. The gnocchi came with cherry tomatoes, cheese and a tomato sauce. It was a nice alternative to pasta although I don’t think the dish really needed the cubes of cheese. Originally, one of the dishes that we wanted to order was the green vegetable risotto. But then the waiter came and told us that they had run out of that. So the next best alternative was the pumpkin and butternut squash risotto. This risotto was really tasty and it also had wilted spinach and pine nuts. We had it made without the panchetta so that it was a vegetarian dish. The other risotto that we got to taste was the seafood one. It was also a good choice and had plenty of fish in it. A nice side dish was the rosemary roasted new potatoes. A small portion but enough to go with the main meal. On this occasion, we could not have any hot drinks as both the hot water machine and the coffee machine was not working. 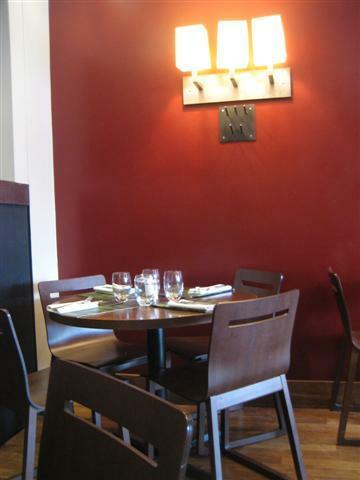 All in all, I liked the food at Strada but felt that dining here would have been nicer if the decor was a little lighter. 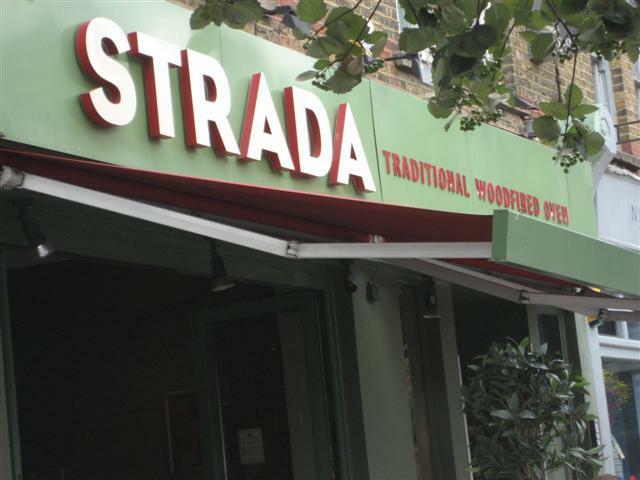 We have also tried one of the pasta dishes and a pizza at Strada! The Bufala pizza had toppings of buffalo mozzarella, tomato and basil. The pizza was of a good size. The tomato sauce was tasty. The only problem with this pizza was that it was sloppy. The tomato sauce was quite runny and so made the pizza base soggy. The Panzerotti Porcini was a good pasta dish. These were pasta parcels filled with Porcini mushrooms, ricotta and grana padano. They were served with sage butter. The flavour of the mushrooms was really flavoursome and had quite a strong taste. It made a change to normal ravioli pasta dishes that you get in some restaurants, as these are usually not very tasty.